Visit Ken Blanchard’s website at www.kenblanchard.com. Narrator: Have you listened to the Creating Wealth series? I mean from the beginning. If not, you can go ahead and get book 1 that shows 1 through 20 in digital download. These are advanced strategies for wealth creation. For more information, go to JasonHartman.com. 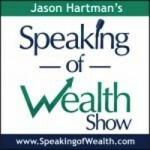 Jason Hartman: It’s my pleasure to welcome the very renowned Ken Blanchard to the show. He is the author of many, many books. You probably are familiar with The One Minute Manager, his first very famous book, but his latest book is entitled Trust Works!. And of course The One Minute Manager was a startling success, New York Times bestseller, and today we’ll talk to him about leadership, his publishing success and just a whole bunch of other things. Ken, welcome. It’s such a pleasure to have you on the show. Ken Blanchard: Thank you, Jason. It’s a joy for me, too. Jason Hartman: Well, and you’re coming to us from San Diego today, correct? Ken Blanchard: Yes. It’s a beautiful day. It’s gonna be in the 90s today. Jason Hartman: Fantastic, fantastic. Well, San Diego has I think some of the best weather in the entire planet, so enjoy that. As we look back on your work, and you’ve got such a big body of work, over 50 books – that’s just an amazing accomplishment – but looking back to The One Minute Manager and then to present day, to Trust Works!, what are the things that organizations and families and any group, any human that ever is looking for is that secret sauce to build a culture of trust and motivation, leadership, help people avoid burnout. Talk to us about what some of the skillsets are necessary to achieve that. Ken Blanchard: Jason, one of the reasons I wrote the book on trust is that that’s such a big deal for people nowadays. I mean, can you trust your spouse? Can we trust your boss and what about the President of the United States and Congress? And you look at some of your data that shows that corporate executives seem less trustworthy even than the politicians. So I’m always looking for what kind of things can really help each other, and I co-authored this with Cynthia Olmstead who has been studying trust for years and Martha Lawrence who writes with me a lot and it’s just really two part of the book. One is a fun parable about a cat and a dog and a parrot and a goldfish and a gerbil in a family. And the cat and the dog were always fighting with each other and the dog chases the cat and the cat jumps up on the dining room table and pulls the tablecloth off and breaks all the dishes and the master of the house comes in the living room, he’s furious and he says I’m gonna get rid of all the animals if you don’t start getting along. So the parrot calls an emergency meeting of all the animals at 12 midnight. So it’s a fun story how they teach the cat and dog how to trust each other, as well as the family learning their own trust issues. And then the second part you get to see how this applies to you, including filling an instrument out on where are you because Cynthia developed, Jason, you know, 4 variables that she found determines trust because when we talked to people about somebody you trust or don’t trust, they all had different characteristics that they were talking about. So the first one is we call it the ABCD of trust ability. Do you have the skills to do what you’ve been asked to do? And that is an important thing. And, B, is believability which is a character issue. Do you walk your talk? You say my door’s always open and then you can’t ever get a hold of you. And C is connectedness – we tend to trust people who we feel some emotional connection to. And finally D is dependable which is if you say you’re gonna do something by Monday, can I count on you? And so the instrument, in the back of the book, you fill that out and see where you think you are, and then the book ends with “Am I trustworthy?” and you can give it to your colleagues and friends and family members and see what they think. That’s an interesting project. I gave it to all my staff, Jason, and the one area that I fall down on is dependability because I say yes too often. I never heard a bad idea. And so now all for that meeting with my group I can’t take my own business card – I take Marjorie Allen’s card who is my executive secretary and so she gets to screen what I promised. So it’s a fun book and I’d say very practical for issues trust today. Jason Hartman: We live in such a large and transient society nowadays that I think people – unfortunately, I have a lot less respect for trust and reputation and I think that’s such a bad, shortsighted thing. Any comments on maybe since you wrote The One Minute Manager and how the world has changed so much, such a fast moving world, and you talked about the corporate executives and you look at all the scandals and scams on Wall Street and these execs paying themselves these huge bonuses as the shareholders are losing money and it’s just a sad state of affairs. Ken Blanchard: Yes. And I think the big change since The One Minute Manager came out 30 years ago, it used to be people looked at leadership and organizations from a hierarchal standpoint. So The One Minute Manager was making sure you set the goal and The One Minute Manager is deciding who to prey and reprimand, redirect. And today, I think particularly the younger generation will want leadership that they consider side by side. In other words, we have different responsibilities but I want you to see me as a teammate and so trust is really important even now more than ever because it’s about the relationships that you have with the people, but it’s not any longer considered about power and control. It’s about relationships and service. Jason Hartman: Yeah, it’s a different dynamic certainly. And I think people just need to realize that reputation can follow them around, especially online. Such a significant issue that it’s often forgotten unfortunately. But talk about today’s society a little bit if you would and the polarization that’s going on and just a little bit more about that trust issue if you would and your model for it. Ken Blanchard: Well, it’s really interesting because things are so polarized now. And I look at the leadership in Washington and I don’t blame the President because both parties are responsible, but nobody seems to care about solving problems. They’re mainly concerned about themselves and getting reelected. That builds mistrust right away where people are self-oriented rather than other-oriented. I mean, that’s a real issue. And the polarization is said because it’s all about their point of view. And one of the issues, Jason, we don’t have any agreed upon values anymore. Jason Hartman: Yeah. We live in an era of moral relativism. Jason Hartman: But the left was attacking him, that’s for sure. Ken Blanchard: Yeah, they just went after him and you’re gonna bring Chick-fil-A into Chicago…For example, I think one of our values, if we agreed, would be freedom of speech. And so Obama would have to say to his buddy in Chicago that’s inappropriate. The man didn’t attack anybody, just shared his belief. And you can’t attack people, but now people are afraid to speak up or do anything because you’re gonna get attacked with the internet. Now, boom, it’s all over the place, you know? Jason Hartman: Well, freedom of speech only applies to the left, the so-called tolerant leftist who aren’t really very tolerant at all many times. Ken Blanchard: No, because, again, that’s a self-serving agenda rather than dialogue. And trust is about mutual respect. And I might not agree with you – here’s my viewpoint, rather than saying “You idiots”, you know, “You’re a racist, you’re this, you’re that” and get attacked. So it’s a real concern and I think that what we’re trying to do with this model is to say if you’re gonna build trust you have to be believable as a person. Say you have one set of values – how is your behavior? Are they consistent with that? Are you attacking everybody? And are you developing connectedness with people? I have just found that you can’t impact other people if you don’t have a relationship, you know? I think the next great evangelist movement is gonna be demonstration, not proclamation. I mean it’s just like “Hey, that’s Ghandi” if you ever thought about being a Christian. And he loves Jesus…If I could find one, you know? If everybody behaved like Jesus, who wouldn’t want to be there? So it’s so important and are you dependable? And so I think it’s important for your kids, for your spouse, for friends as well as the work. Jason Hartman: Yeah, certainly dependability and doing what one says they will do is the cornerstone to success with any endeavor in life. Talk more about some of the assessments for measuring trust and the tools for building trust. Ken Blanchard: Well, we have a little instrument that gets at each of the elements of trust and so people can kind of fill that out in relation to where they see themselves. So, for example, we ask whether you do this hardly ever to always under believability, do I keep confidence, do I admit when I am wrong. Boy, isn’t that a great thing? People rather than admitting their wrong, they come out and attack everybody else. Am I honest? Do I avoid talking behind people’s backs? Am I sincere, am I non-judgmental? How’s that? Show respect for others. And under the connectedness, do I listen well? Do I praise others’ efforts? Do I show interest in others? Do I share about myself? Do I work well with others? Do I show empathy for others? Do I ask for input? And so it gets at it and it’s really particularly powerful when you ask other people because I believe feedback is the breakfast of champions that I’ve written about for a long time so that if you really want to morph your talk and be a better human being you ought to ask how you’re doing. Jason Hartman: Your books are arguably business classics. And one of the reasons is you’re a great storyteller. You have just excellent storytelling skills. And many times, in order to interact with other people, and even in the advertising and marketing domain and in the one to many domain from the platform, storytelling can be a very useful tool to move people, to motivate people. What are some of the secrets of being good at storytelling? Or is it just something that comes naturally and you’ve got the gift and some others do? But not everybody has it. Ken Blanchard: Well, Jason, the key thing to do as a storyteller is to be a participant observer in your own life. So a lot of the stories I tell on myself or experiences that I have had – I mean those are the best stories, not jokes and things like that. And just look around. There’s stories around all of them. My dad was a great speaker. He retired as an admiral of the Navy and he said, Ken, if you’re gonna speak, make a point, tell a story. Make a point, tell a story. And I just noticed I was in a conference the other day and I heard a bunch of speakers. And the ones everybody loved told stories and other people, they shared a lot of facts. But a lot of people fell asleep, you know. And you’ll get a kick out of this. I’m going down Broadway last year and I hear a guy yell “Blanchard! Blanchard!” you know, and some guy was running up – he’s from Kansas City – and he’s got a friend with him and he had been at the speech I’d done, he said could you tell him that dog story and jumping out the window, you know? And so he wanted to tell the story because I was saying punishment doesn’t work and I was saying I talked to a friend of mine about they got a new dog and they wanted to know what my suggestions for house training a dog and I said what do you have in mind? Well, if the dog drops a load, I’m gonna grab him, shove his nose in it, pound him in the tail with a newspaper and then throw him out the window in the kitchen to the backyard and that’s where you’re supposed to do it. And I said well how does that work? And he said not really well. The dog poops on the floor now and jumps out the window. But he’ll remember that concept for the rest of his life because it’s tied into a story. Jason Hartman: It’s amazing. Really, storytelling, people do remember stories. They remember them so much better than just a group of facts. If you can tie it in, it allows them, the listener or the reader to put themselves in that situation. It allows them to picture it with their mind just the same way a great novel does. Ken Blanchard: And the great company that I wrote a book with, Colleen Barrett from Southwest, and they gather stories all the time about their people and about each other and they share stories. Because one of their values is this fun-loving attitude and I was on a plane a while back and stewardess said this is the last flight of the day and we’re really tired and don’t have the energy to pass out the peanuts and the potato chips, so we’re gonna put them on the floor up front and as we take off we’ll gain some height and they’ll come down the aisle if you need any. And the whole place was in a hoots, you know? So those are stories. Jason Hartman: Yeah, those are great stories, no question about it. Ken, I’d like to switch gears a little bit here just before I let you go and talk a little bit about your own business and your tremendous success as an author. And The One Minute Manager is a great story. I’ve heard it before, talking about how you packaged that book, marketed it, the size of it, etcetera. But can you share any tips for our listeners on kind of their own business success or if they’re aspiring authors, speakers. We talked about storytelling, of course. We talked about leadership and trust. And those are obviously foundational items. But maybe a little more about the technical side of things if you will. Ken Blanchard: Well, Jason, I wrote a book called One Minute Entrepreneur, and one of the things I share with people who are interested in building their business, whether it’s a speaking business or…[ 0:17:19.0] and I learned these from Sheldon Bowles who I wrote Raving Fans with. And the first test is a test of joy. If you don’t love what you’re doing, you’re not gonna work hard to be the very best. So the first is a test of joy. The second is a test of purpose which is at some point you gotta have somebody who is willing to pay you to have fun. Otherwise, you have a hobby. So that’s the purpose. The third one is a test of creativity which is once you find out you’re pretty good at something, can you find other things that related in all that you can do that can build your business, because your income is a function of revenue minus expenses. And a lot of people when they try to increase their income spend a lot of time managing costs and it’s important to manage cost, but you’re never gonna crosscut yourself to a millionaire. You gotta increase revenue. Jason Hartman: I’d like to say about that nobody ever got rich saving money. Ken Blanchard: That’s right, yeah. And so that creativity is like so when we started our business, the only way Margie and I made money was to show up and do seminars. And we finally decided that bodies could get tired, so we started to fantasize at night while we were sleeping people were sending us checks. And that’s when we got into developing learning materials and then books and then started training people, do our stuff so that they could be part of our network and we could make some money off of what they did and just all kinds. And they got partners around the world and so you keep on. And the last test I think is a really important one, a test of perpetual prosperity which is if you’re not helping other people, you’re never gonna do really well in business. If it’s all about you, you’ll initially catch up. If you’re not there to serve, it’ll go for the long run. Jason Hartman: Couldn’t agree more. I view my business, and I’m sure you do as well, as a mission. And every day I became financial independent years ago and so now it’s a mission. Of course, I like the money. I have more, that’s fine. But it’s really a mission. I really feel like – some competitors are welcome to disagree occasionaly – but I really feel like I’m doing good for people and I’m helping them and I get up in the morning just wanting to do more of it and expand that sense of a mission. But how does someone get that if they don’t have it, if they don’t feel it inside? I mean, many people are going through the motions and some very successful people. I mean by the standard of success or just monetary success. Ken Blanchard: Well, I think if you can’t generate yourself, you ought to drain a relation that has it. I was on a program recently and heard Simon Sinek. Have you had him on your program? Ken Blanchard: The power of why. He said in most organizations you have the why, the how and the what. And most people spend all their time on the how and the what and very little on the why. And he says Martin Luther King couldn’t have gotten 250,000 people at the Washington Monument when they didn’t have internet if he said “I have a plan”. Jason Hartman: Right, it’s I have a dream – that’s a difference. Ken Blanchard: Why are you doing this? What’s the reason for your business? I mean like at Southwest, their why is her, Colleen, Herb Kelleher who started it, they wanted to democratize the airways. They wanted every American to be with a friend or a relative in a happy time or a sad time. So that’s why they’re low cost. Now, people are inspired by that why. Wouldn’t you like to join an organization like that rather than we’re here to make money? Profit is the applause you get for taking care of your customers and creating a motivating environment for your people. Jason Hartman: Sure, yeah, no question about it. Well, what happened with One Minute Manager? I mean, just kind of recount that story for people if you would, how it became successful and how you got it there if you just have a moment to share that. Ken Blanchard: Yes, well Spencer Johnson was a children’s book writer when I met him at a cocktail party and my wife carried him over and said you ought to write a children’s book for managers. They won’t read anything else. Jason Hartman: That’s funny and cynical. Ken Blanchard: We ended up – he was working on a parenting book, a one minute scolding book, and we got together and the book kind of wrote us. We met in the first week of November, had a first draft going to the Rose Bowl and I said, Spencer, boy, we ought to give it to New York publishers. There’s no way they’ll beat us over the head and take all the money. They’ll self-publish it and so we did through YPO, The Young Presidents’ Organization, we sold 25,000 copies with no advertising. So what’s really neat is you also can test whether you have something. So when we went to New York the following year, they were excited about it, so you have great endorsements and a great track record. And so a lot of times I think people will want to rush the publication, but they haven’t really found out if anybody will ever read it. The key thing to writing a book is pass along value, to somebody say to you, boy, I want to turn you on to that and so that’s one of the exciting things about your Trust Works! book is when people say, God, this is really helpful, I’m gonna give it to all my team or I’m gonna share this with my family and when people start to say that how you’re in business. Jason Hartman: Yeah, you definitely are. Well, what happened to it? So you published the book and how many did you sell? I mean I know this is a long time ago, but do you remember any of those numbers? Ken Blanchard: Well, we were on the today show in labor day, 1982, and it went on the bestseller list immediately and they were left for 3 years and so we’ve sold 13 million copies of that and it still sells 2 or 3 hundred thousand a year 30 years later. And so we’ve never done an e-book, but we’re kind of revising it and updating it a little bit for an e-book here, sometime will come out maybe next year. Jason Hartman: And I mean what was the secret of the size? What was going on in the marketplace at that time? You decided to do a real different thing than was common in publishing at that time, right? Ken Blanchard: One of the things that was happening is there a was a lot of books about Japanese management, so a lot of people were sick and tired of hearing that. And also most of the management and leadership books were too long and too complicated. And so we really found that if you picked out three secrets like one minute goal setting, all good performers start with a clear goal. Once people have a clear goal, why don’t you wander around and see if you can catch them doing something right and give them a one minute praising and if they step out of line, don’t praise them. You could redirect them and if they know better you can give them a one minute reprimand. You know, very simple powerful stuff, and that’s why the pass-along value – I mean I met a kid the other day who said “My grandfather gave this to my father and my father gave it to me”. And I said I’m beginning to feel old. But it’s that pass along that people say, wow, this is great. I want you to read this. Jason Hartman: Yeah, fantastic. And since then, with some of the other books, are there any unique stories or ideas for aspiring authors, publishers, speakers that you want to share that are more maybe contemporary? I mean, obviously pass-along still matters – that matters big time. But just anything with the more recent books maybe. Ken Blanchard: Well, my mother used to say to me why don’t you write a book by yourself? Jason Hartman: Mhm. Get a real job, right? Ken Blanchard: I’ve only written two by myself, one about golf – so many people helped my golf game, I didn’t know how to write it, and the other one was my spiritual journey. But one of the things that I recommend people is don’t think you gotta do it all by yourself. Find somebody who is interesting, who maybe shares some similar things or maybe takes your ideas and work together, because 1 +1 is a lot better than 2. I did a big TED talk recently on collaboration. I said who knows more about collaboration than you do? And so I told him, I said the key to collaboration is two parts – one is essence and the other form. Essence is heart to heart and values to values. And form is how we’re gonna do it. And I said be careful of jumping to form right away, because essence will bite you every time. So if you’re gonna work for somebody else, first make sure you’re simpatico in terms of your values and your beliefs and all. And then 1 + 1 can be greater than 2. Jason Hartman: I’ve heard it said that in the information age, 1 + 1 is no longer 2. 1 + 1 is 11. Kind of an interesting way to look at it when you look at the multiplier benefit, right? Ken Blanchard: For sure, that’s great. Jason Hartman: It sure is. Well, what’s next for you other than refining your golf game even more? Ken Blanchard: Well, you know, I’m 73 now. When I turned 65, I was on the phone with Zig Ziglar who passed away recently, invited my wife and I to the 59th anniversary of his 21st birthday. And I said “Zig, are you gonna retire?” He said “No mention of it in the bible – except for Jesus, Mary, and David, nobody under 80 made an impact. I’m refiring, not retiring.” And so that’s what I’m doing in the fall. I have a 2nd edition of a book I did, Leadership and the One Minute Manager, because we’ve revamped our situation leadership. Then we have a children’s book coming out right before Christmas called Whale Done, My Wonderful One about a momma whale and a baby whale. So that’s my first venture in a kid’s book. And then in January I have a book coming out called Thin at Last: Regaining Your Health in the Golden Years because I had been on a real health and fitness kick the last year or so because I figured I’d like to last a while. You know , I don’t want to fault out here for lousy health, so that’s gonna be fun. And I’m working on a bunch of other things, so I’m still excited about life. I think if you aren’t up to learning and growing, then lie down and let them throw the dirt on you cuz you’re dead anyway. Jason Hartman: That’s a good philosophy. Ken, you’re such an inspiration and your books are just excellent. And we thank you so much for sharing some of your thoughts and insights with us today. The website is KenBlanchard.com. The books are available virtually everywhere with great reviews as well and lots of raving fans. Ken, anything else you’d like to have people know before you go? Ken Blanchard: Well, I have a book that came out a few weeks ago called Lead Your Family Like Jesus. I have a ministry in there, not to try to convert anybody, but I found when I read the gospels that everything that I had ever taught about leadership, Jesus did. And he’s a pretty good role model. Because whether you like it or not, the organization’s still around. Jason Hartman: It sure is. And it’s strong, too. Ken Blanchard: Go on LeadLikeJesus.com and see about that – that’s kind of fun. Jason Hartman: Fantastic. Well, Ken Blanchard, thanks so much for joining us today. Ken Blanchard: Take care. God bless.